Car makers have started hiring from Gujarat's industrial training institutes (ITIs) for their factories across the country. Maruti Suzuki India Ltd last year administered tests to 1,100 candidates at the Kubernagar ITI in northeast Ahmedabad. "Maruti Suzuki had recruited 40-45 candidates here for their Gurgaon plant. It has indicated it will test candidates again this month. Accordingly, we have prepared a list of around 1,000," said A J Pandey, placement coordinator for the Kubernagar ITI. A senior Maruti Suzuki executive confirmed the development and said the company was committed to its long-term relationship with Gujarat. Maruti has adopted five ITIs in Gujarat where it works with the faculty to train students. The company had signed an agreement with the Gujarat government for adopting ITIs at Viramgam, Becharji, Detroj, Kadi and Mandal last year, a senior state government official said. All of them are located near Maruti Suzuki’s proposed manufacturing facility in Gujarat. The first batch of trainees signed up at these institutes in March 2013, and 400 local youths are expected to receive training here. This will ensure availability of skilled manpower for Maruti Suzuki’s plant at Mandal. a joint venture between Volvo and Eicher Motors, have also visited ITIs in Gujarat. Pandey said Honda Cars recently hired 85 ITI students for its factory in Tapukara, Rajasthan, and indicated earlier this month that it planned to recruit around 1,000 more by the end of 2014-15 for a second shift. VE Commercial Vehicles recruited a handful of candidates for its Pithampur plant in Madhya Pradesh. A senior official in the commissionerate of employment and training of the Gujarat labour department confirmed that car makers had visited the state last year scouting for talent. The department does not have data on the number of recruitments by the automobile industry from ITIs, but the official said the trend was clear. "According to feedback we get from individual ITIs, diesel and motor mechanic courses have gained popularity, apart from other automotive courses. Around 80-85 per cent of the students taking these courses are placed on average," he said. "Companies that set up facilities in the state starting with Tata Motors and Ford India began recruiting from ITIs. 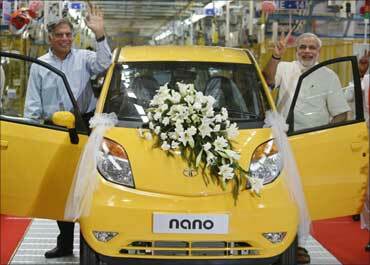 The trend caught on as Gujarat was positioned as an automobile hub," he added. The fact that companies like General Motors, Tata Motors, Maruti Suzuki and Ford had collaborated with the state’s ITIs to bridge the skills gap had helped, said another official in the state’s labour department.